Are you on the market for last minute gift ideas or some fun holiday craft projects? 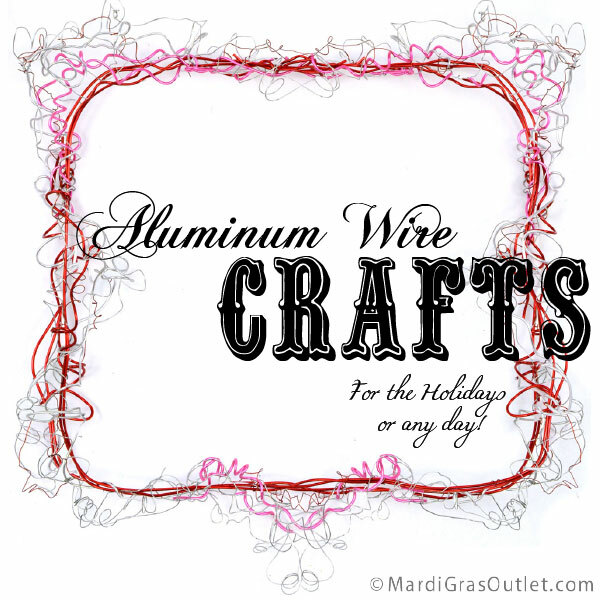 Aluminum craft wire is the answer. We love the variety of colors, flexibility, and ease of use of aluminum craft wire. There are endless ways to use it. Here are three great projects with easy step by step tutorials! 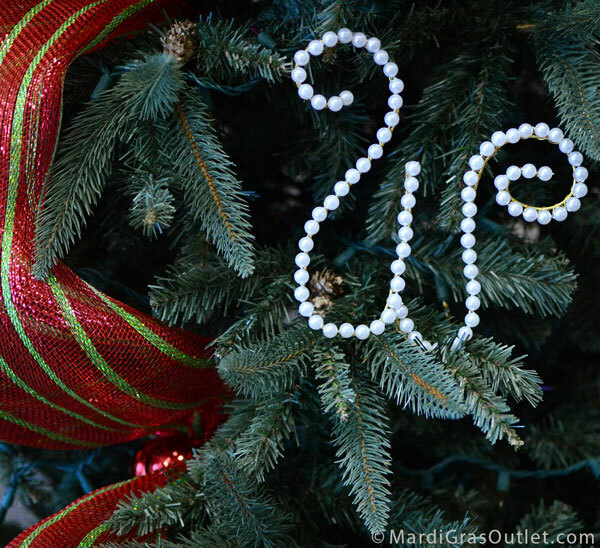 Personalized Christmas ornament, accent for gift wrap or lettering on a wall, this beaded pearl letter can be used in many different ways. The cost of two the two basic wires is $6.50. If you aren't upcycling your old Mardi Gras Beads, that brings the total cost to just over $10 with materials left over. This does not include accents such as vases or floral sprays. The aluminum wire crafts all took under 20 minutes to make. Choose a font you would like to use as a basic template (curvy fonts look better). Print out your desired letter in a large size (about 6" tall). We used "Twelve Weeks Pregnant" font, available for download HERE. 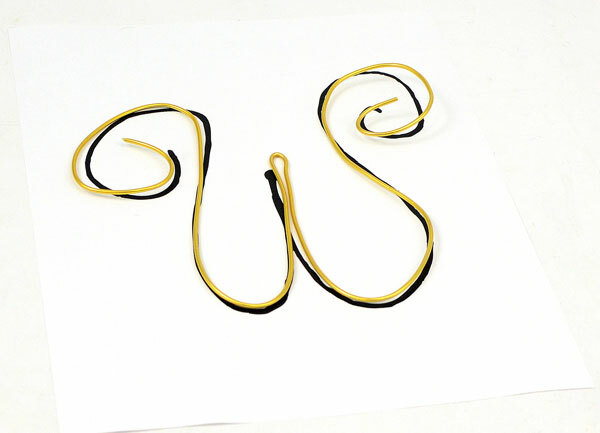 Using your printed letter as a template, mold the craft wire to the shape of the letter. 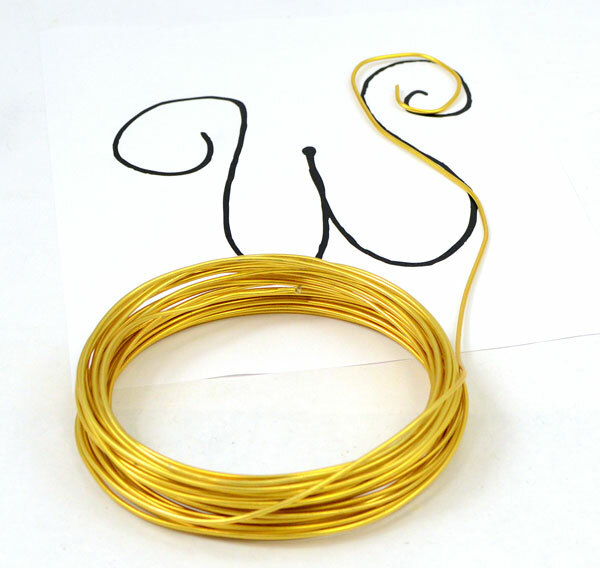 When you have finished outlining the letter, cut the aluminum craft wire. It is soft enough to be easily trimmed with scissors, but you may want to use a pair of wire cutters. Attaching the pearl beads. 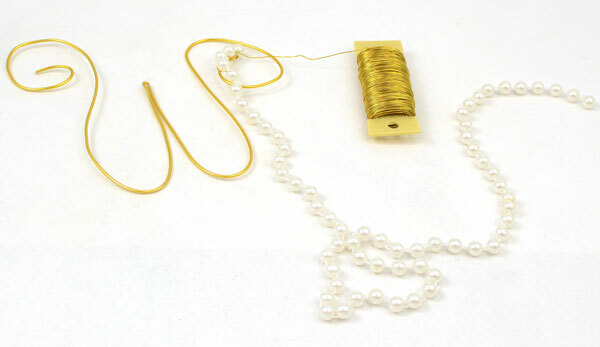 Cut the pearl bead necklace between two beads, to create a long strand. 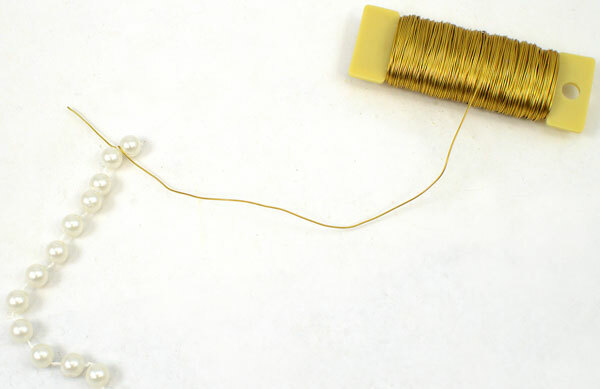 Using the smaller gauge paddle wire twist the wire between the first two beads. 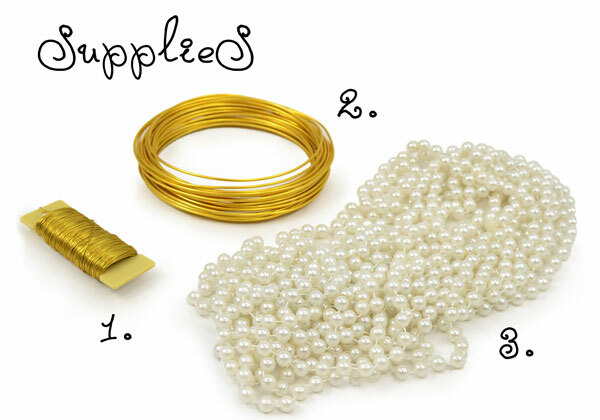 Starting at one end of your wire letter, attach the pearl bead to the aluminum wire form you created. 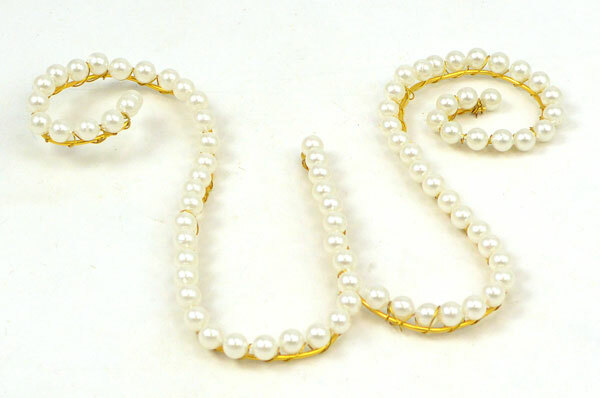 Try to keep the pearl placement on the top of the wire, but don't worry too much about it because both the wire letter shape and pearl placement can be adjusted once you are finished. Move around the letter winding the paddle wire around the bead strand and the aluminum wire, holding it tightly. If you come to the end of an arm or the top of a cap as we did here on the "W", end the chain of beads by twisting it tightly on the back and trimming the wire. 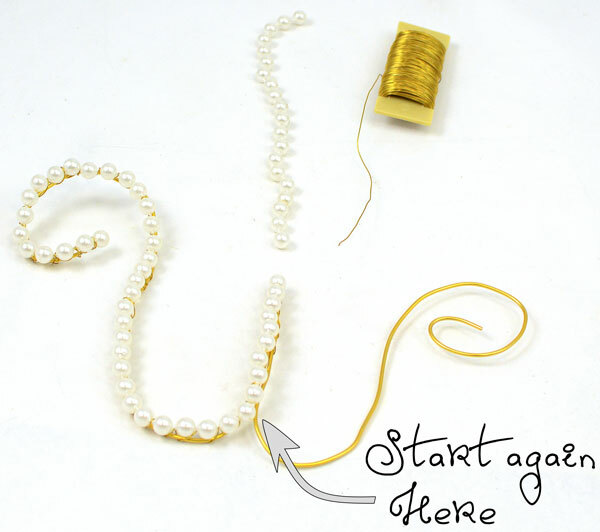 Begin again the same way you started the letter- by attaching the floral wire to the bead and then the bead to the end of the aluminum wire form. At the end cut the remaining wire and bead strand On the right, notice we doubled the wire twist to ensure that the beads won't slide or fall off the end. This project is super easy and you can get as elaborate as you want with your twirls of wire or keep it simple. Cut a small piece of pliable craft wire. Create small curl at the base and then at the top. 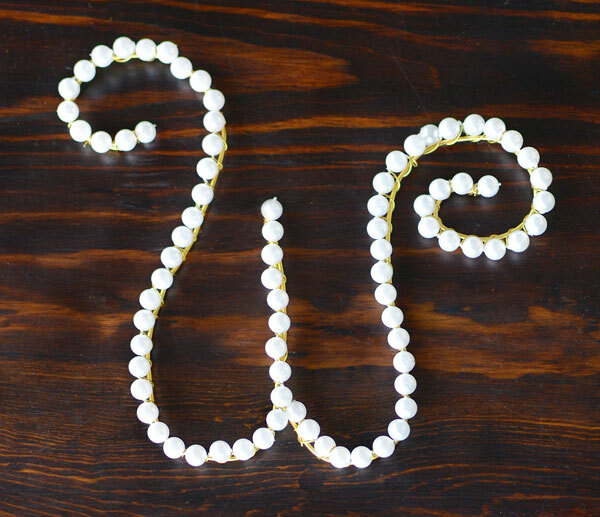 Add ornament onto the bottom curl. 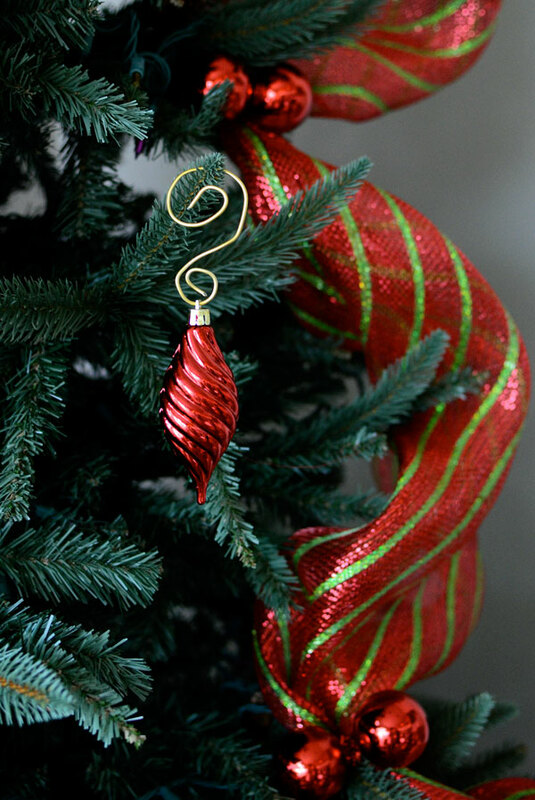 A great idea for heavy or delicate ornaments that you would like to hang with something a little more sturdy than a traditional ornament hook. This project idea is fast, easy, and quickly gives plain glass vases a little added texture and color. 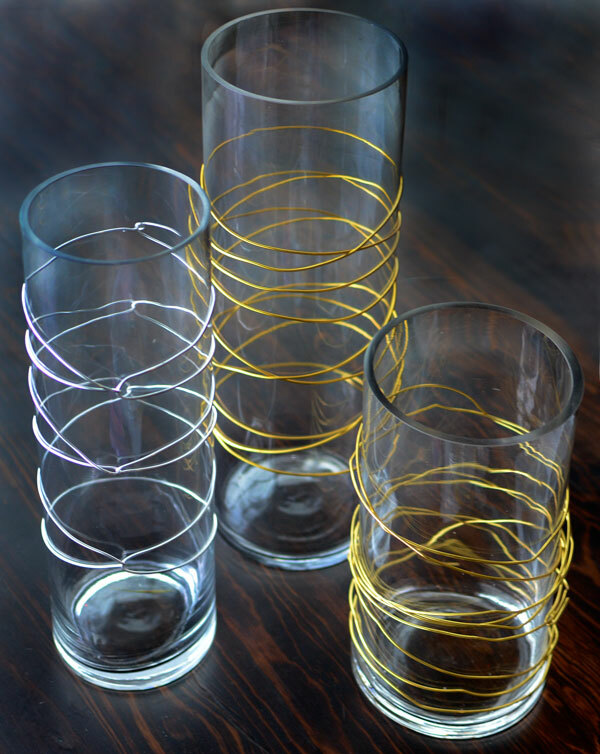 Simply wrap the wire around clear glass vases. You can match the wire color to your flowers or decor, even using multiple colors of wire on each vase. 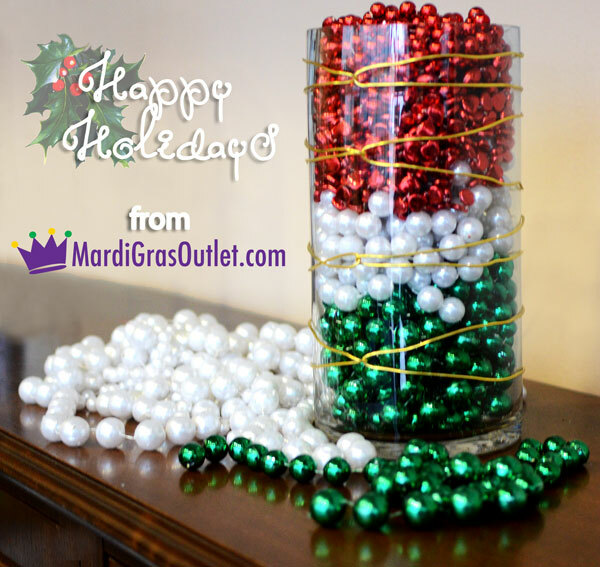 Mardi Gras Bead Upcycle! 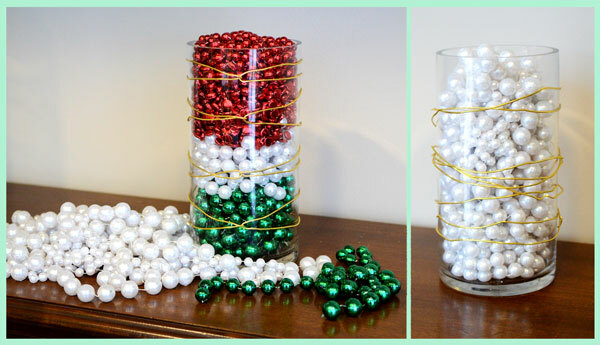 Fill wire accented vases with beads in one color or add them in layers. This is perfect for a mantle, coffee table, or shelf that needs a little holiday color. 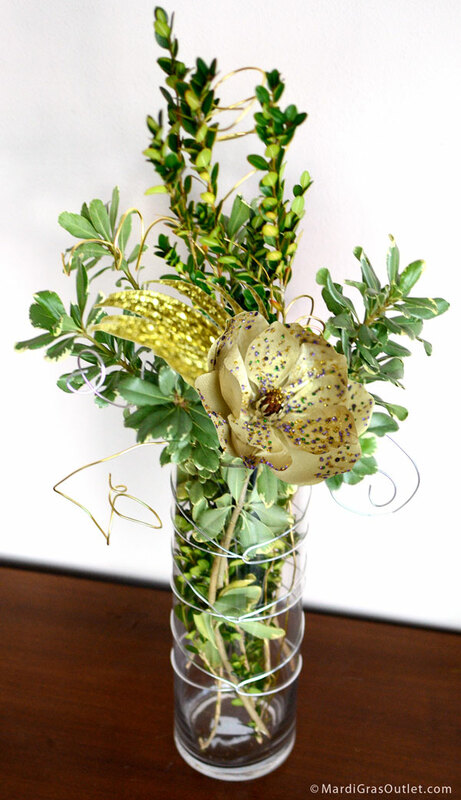 Silk flowers can be inserted into the vase of beads as well.